Similar in function to bird spikes, a post and wire system can be used to prevent birds from landing on ledges, parapets and gutters. 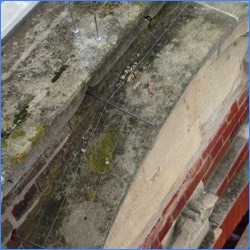 They are also commonly used to proof roof ridges against either Pigeons or Gulls. 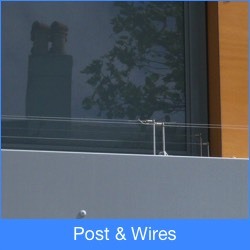 A post and wire system is generally not suitable for use in areas which are in frequent use by birds (i.e. roosting or nesting sites). However, they are suitable for areas that are only infrequently visited by birds. 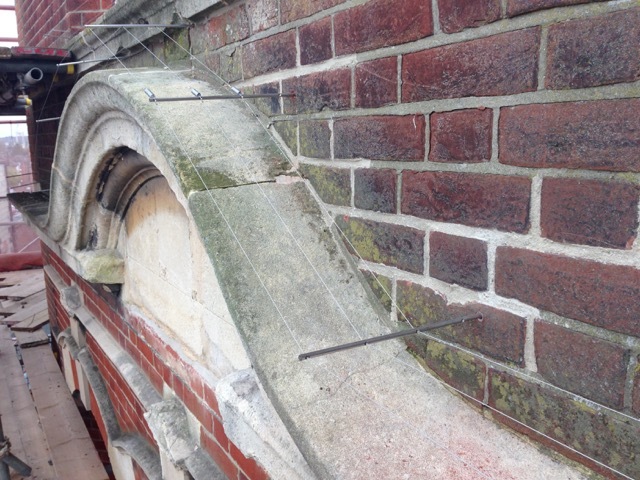 This fact, coupled with the generally more aesthetically pleasing appearance of post and wires versus spikes, means that they are a favoured form of proofing amongst architects on new builds. Vertical stainless steel posts are installed into the surface being proofed at approximately 1.5 metre intervals. 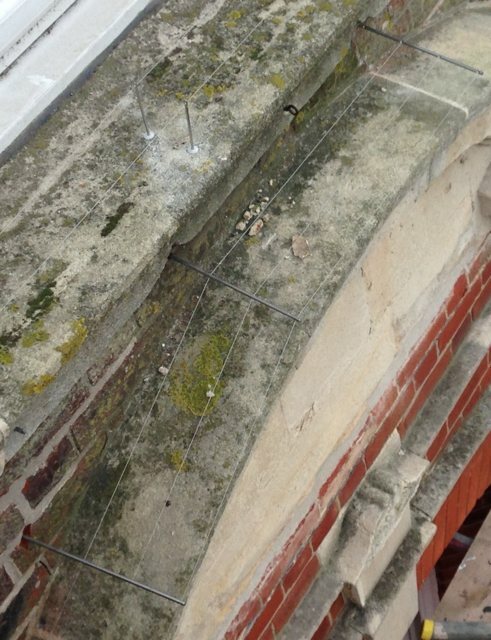 The posts are usually hammered into Nylon rivets, though they can be glued onto surfaces such as lead. A Nylon coated stainless steel wire is then attached to the first post using a Nickel plated copper crimp. A stainless steel spring is then attached onto the second post and the wire is then crimped to the spring. The spring gives the wire tension but also ensures that the wire ‘bounces’ when birds try to land on it. This bouncing action is what deters the birds as they are unable to get a steady footing on the wires. 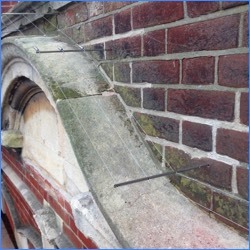 When installing a post and wire system on roof ridges, special brackets are used to give multiple rows of wire.